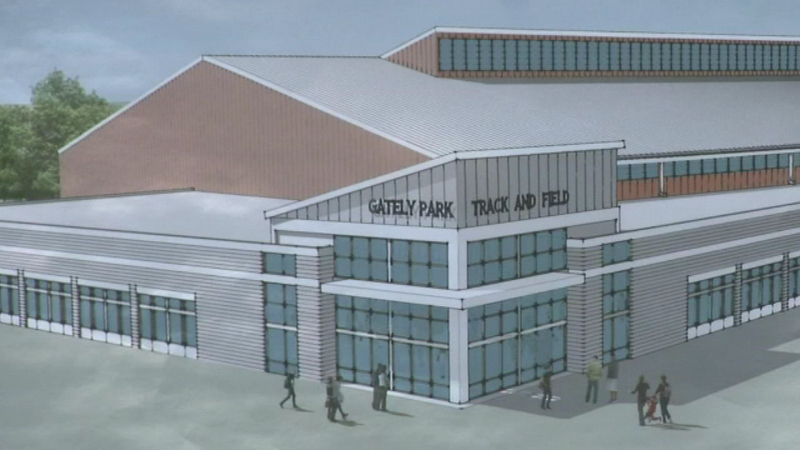 The first public indoor track and field facility in Chicago will be built at Gately Park in the Pullman neighborhood. CHICAGO (WLS) -- The first public indoor track and field facility in Chicago will be built at Gately Park in the Pullman neighborhood. The 200-meter indoor track will feature 6-lanes and space for a long jump, shot put, hurdles and more. Adults and kids got active at Lindblom Park Friday as part of the festivities to unveil new renderings of the 90,000 square foot facility. Mayor Rahm Emanuel cut the dedication ribbon.